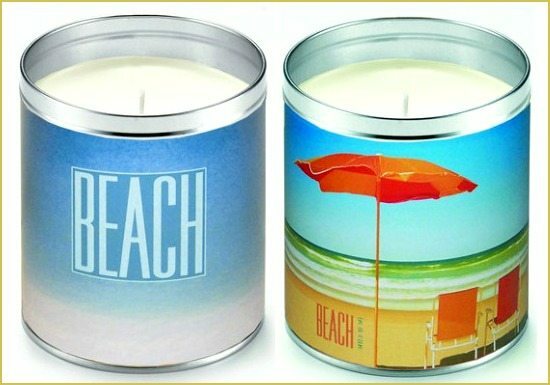 A lovely Beach Candle is a gift I’d be thrilled to receive anytime. 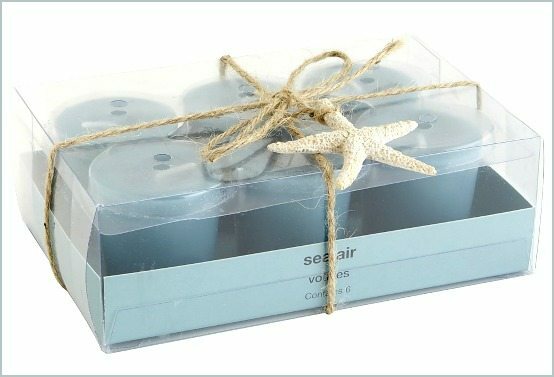 So I compiled a few beautiful beach candles for gift giving that will infuse your home with the aroma of a beachy breeze. 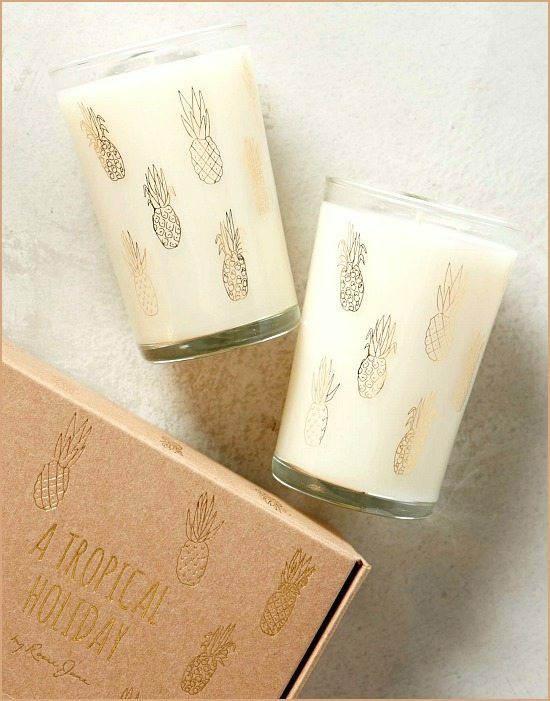 Set of two tropical candles by Rosie Jane. The candles are handmade in the USA and come in cute 4 inch keepsake glasses in an equally cute gift box. The Pineapple is the symbol for hospitality, luck and friendship. Sold at Anthropologie and B-Glowing. You can read a review here. 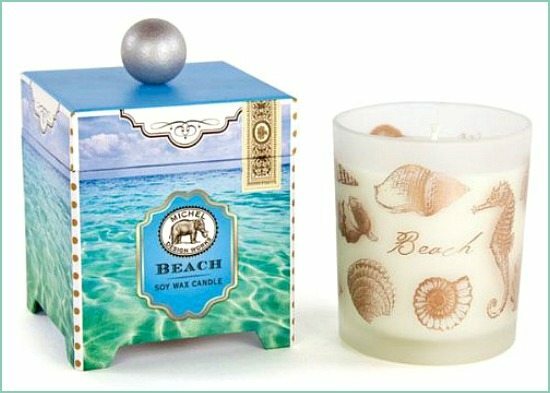 Toes deep in the sand, warm sun, gentle breeze, beach candles from the Michael Design Works Beach Collection promise to bring it all back. Summer Beach Diamond Candle. Not your standard candle. Each diamond candle has a ring wrapped in foil hidden in the candle wax! Pier 1’s Set of Beach Votive Candles that is sure to please anyone. Who doesn’t love mason jars? 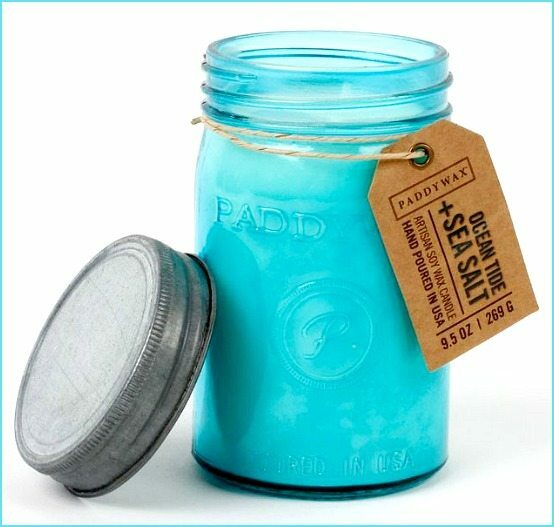 A delightful Blue Jar Candle by Paddywax, hand poured in the USA. 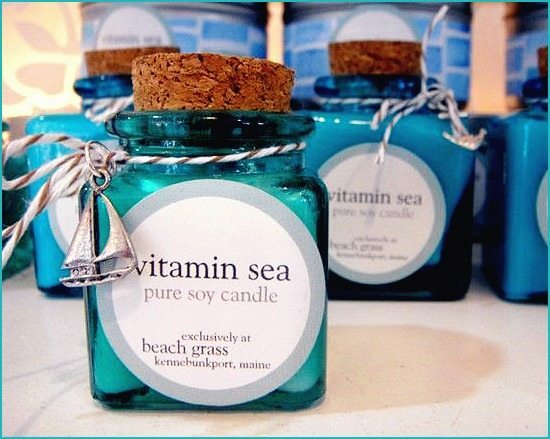 Vitamin Sea Candles hand poured in Maine, packaged in miniature retro apothecary jars. 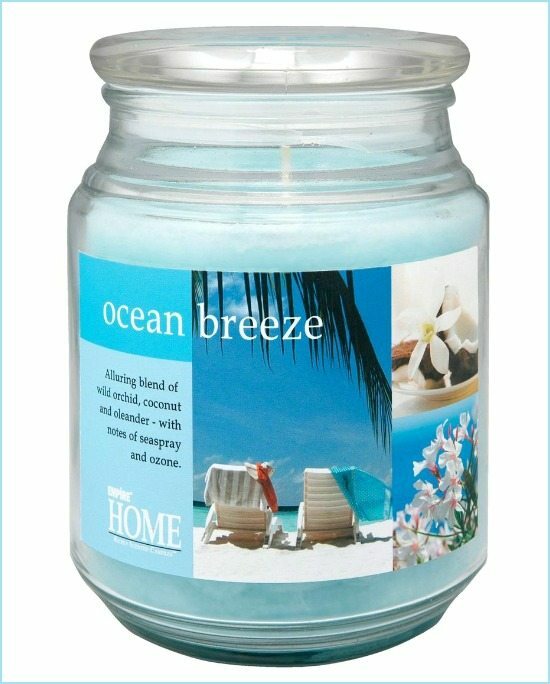 Ocean Breeze Candle with blend of wild orchid, coconut and oleander. The enticing photo-collage labeling will help you get on beach time. And two candles from Aunt Sadie’s collection of Summertime Candles. 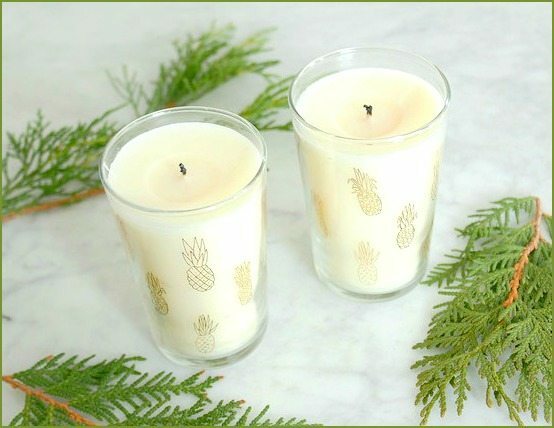 A perfect little gift candle, as well as stocking stuffer.